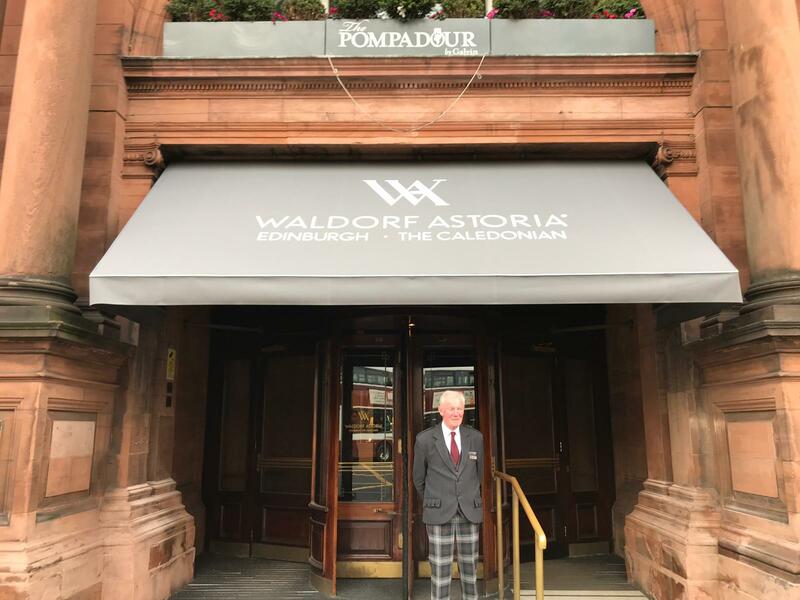 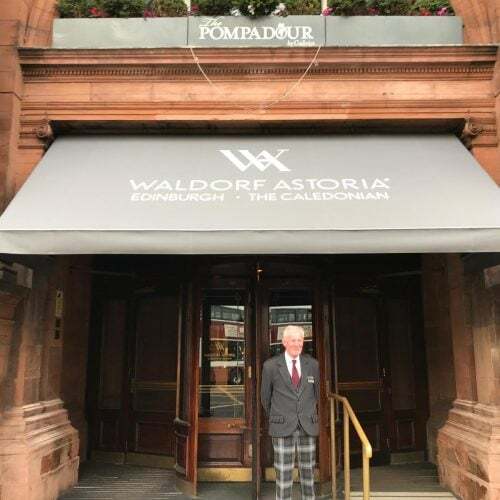 We were pleased to be involved with the installation of two fixed frame awnings last week with powder coated framework and signwriting to Waldorf Astoria Edinburgh, The Caledonian Hotel. 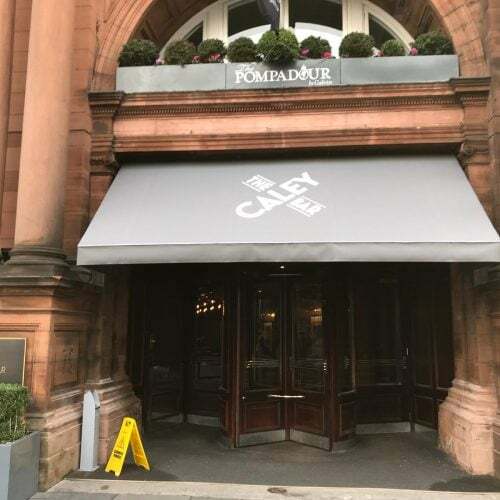 The previous canopies were in need of updating and the hotel wanted to have branding introduced to define the main entrance from the entrance to The Caly Bar. 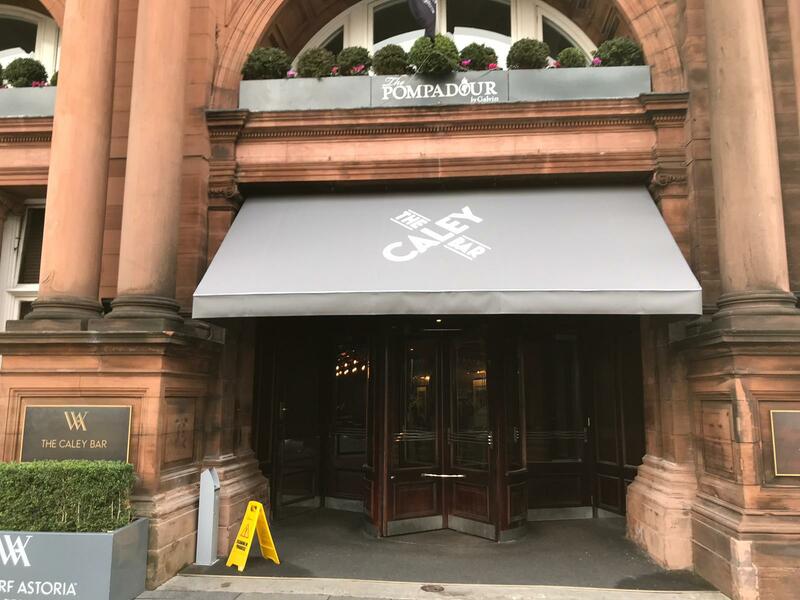 A fixed frame is a good option when you need protection over a door entrance as they can be made quite large if needed and it gives a surface to use for signwriting. 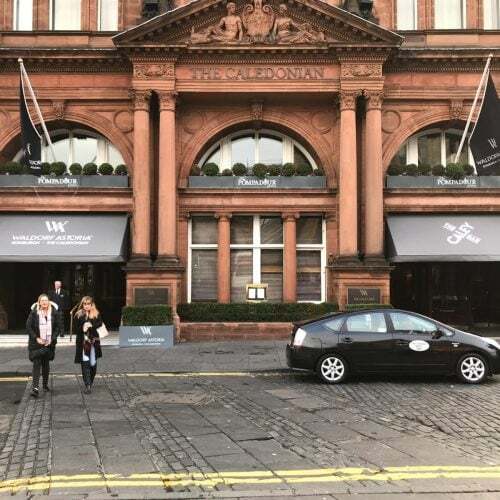 Fixed frames can be made to follow the line of the building and any obstacles that may be in the way. 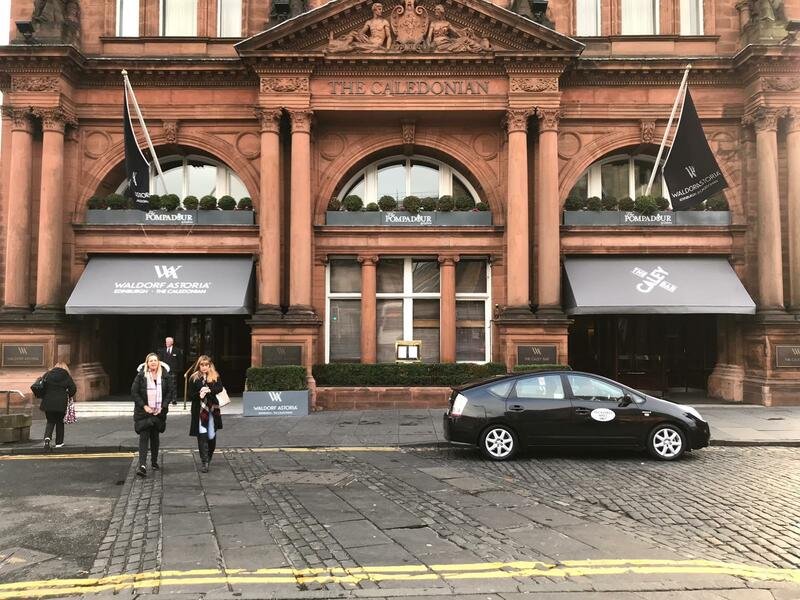 Our surveyor carries out a detailed survey in order that the team in the factory can produce the framework to the contours of the façade.